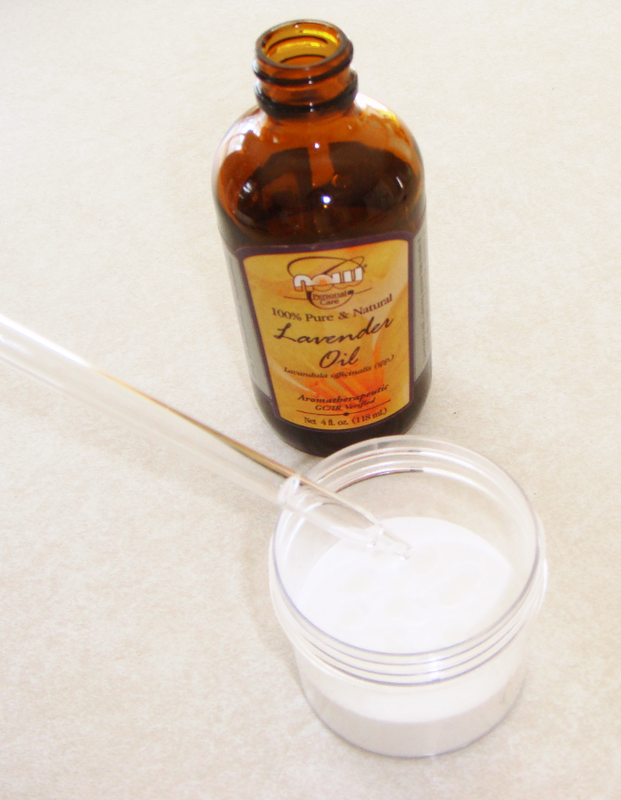 Fill your jar with baking soda and add about 20-30 drops of your essential oil. I tend to put a few extra drops of essential oil because I like a stronger smelling air freshener. Shake or Stir: If you are using a mason jar with a lid, put the lid on and shake the mixture. I didn't have a lid for my jar so I just stirred mine with a chopstick. Decorate your jar however you like. I covered mine with tissue paper (be sure to cut your circle bigger than your jar), secured it with a rubber band and then added a ribbon. 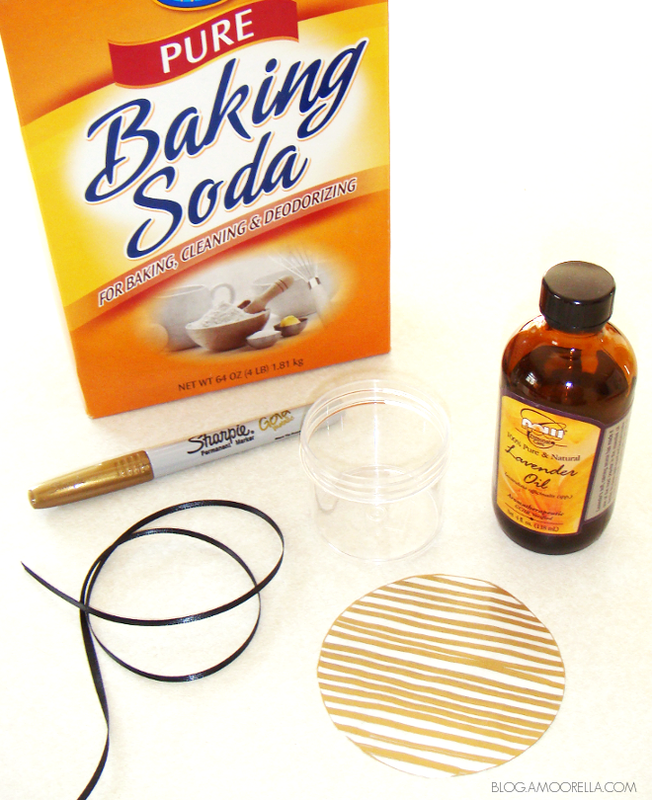 If you have a mason jar all you have to do is use the metal circle lid to trace around the tissue paper, (you can also use scrapbook paper, computer paper or cardstock paper) cut it out and replace it where the lid would normally go. Poke some holes in the paper with a needle or pen. That's all there is to it! Whenever I feel like the smell is fading away I just give the jar a little shake. 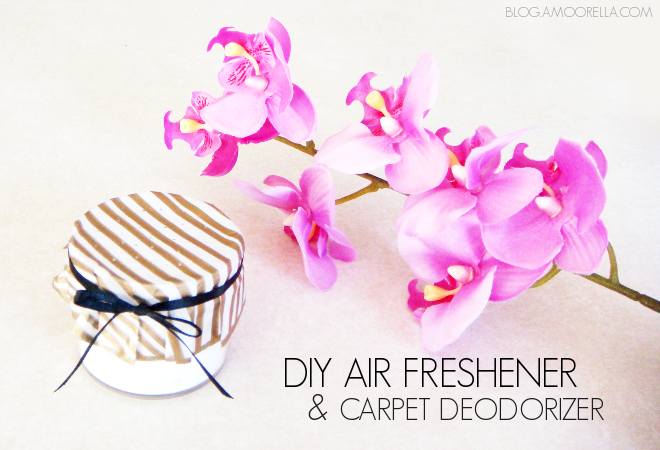 I use baking soda and different essential oils as a freshener, too! It's natural and it's not dangerous for my two cats!